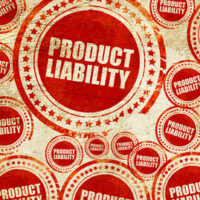 When it comes to product liability laws, which companies can be held liable under state statutes largely depends upon how that state law interprets which companies constitute liable manufacturers and those who are immune from such claims. For example, while Texas’s statute defines a products liability action as any action against a manufacturer or seller for recovery of damages arising out of death, personal injury, or property damage allegedly caused by a defective product, this still raises the question of where direct sales/individual direct sellers fit in, as they are not employees of the manufacturer, and tend to instead make profits based on commissions. Figuring out which companies are covered under these types of statutes can be challenging, especially as more and more types of sales companies emerge. Direct sales companies in particular have changed the way that business relates to consumers, allowing many sellers to engage in potentially lucrative work but not necessarily wanting them covered under the same liability as the company that produces the product itself (especially since they are not technically employees of the manufacturer). While product liability laws like those in Texas hold manufacturers and sellers strictly liable, this is typically based on a design, manufacturing, or marketing defect. However, consultants engaged in direct sales business models are often consumers of the product themselves. Still, it is crucial that they understand the laws of the states where they do business in order to understand under what circumstances they could be found liable. Any and all sellers should also find out whether a manufacturer indemnifies sellers. Working with an experienced attorney can help ensure that you as a seller are properly protected from liability. In fact, on March 9th, Autoliv Japan—a subsidiary of the world’s largest automotive safety supplier—asked the 11th Circuit to dismiss a lawsuit alleging that Liv was responsible for a defective seatbelt in a deadly accident even though the company merely gave the seat belt components to Mazda USA, who then designed and approved the overall restraint system. When it comes to holding companies responsible for injuries and/or deaths, what matters is who ultimately made the design decision that caused the actual accident. The state’s federal district court found in Liv’s favor; ultimately finding that the company was not actively involved in the design of the seat belt system. This decision will largely have significant implications for product liability law in those states within the 11th Circuit, but could also apply to consumers’ broad options to recoup damages. When it comes to defending companies against product liability claims, you won’t find attorneys more dedicated to corporate defense than those of Colvin, Saenz, Rodriguez & Kennamer L.L.P. Contact us today to find out more.